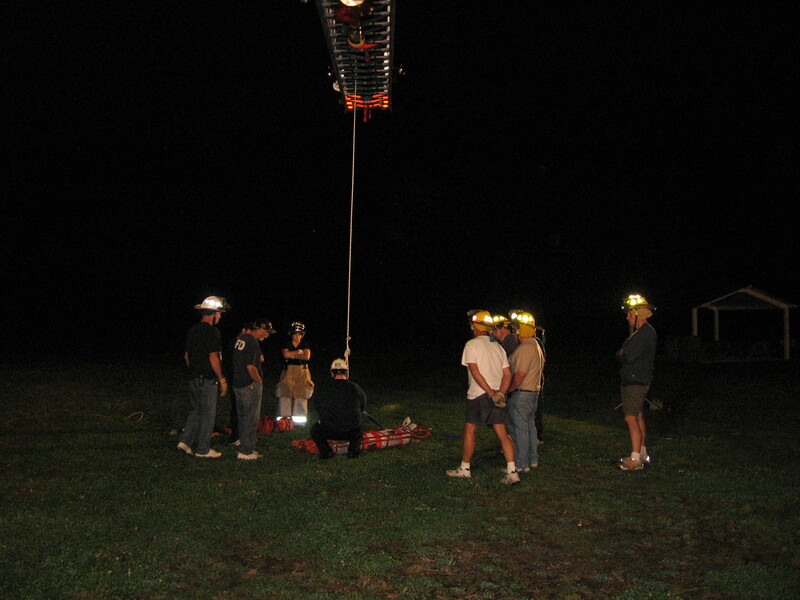 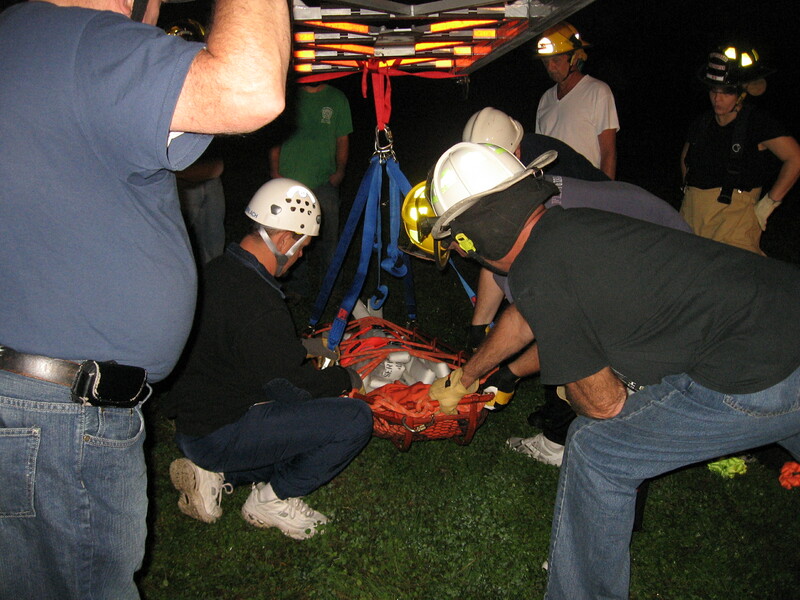 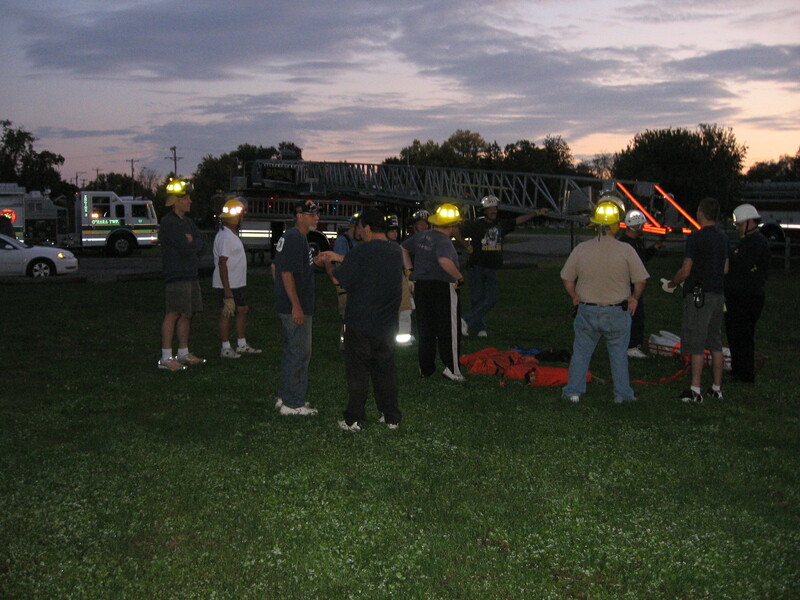 This evening members of Parkview,Pleasant Valley,and Sharpsburg Fire Departments built upon the lessons learned during the July (Aerial Apparatus) and August (Ropes and Knots) “Back to Basics”training nights. 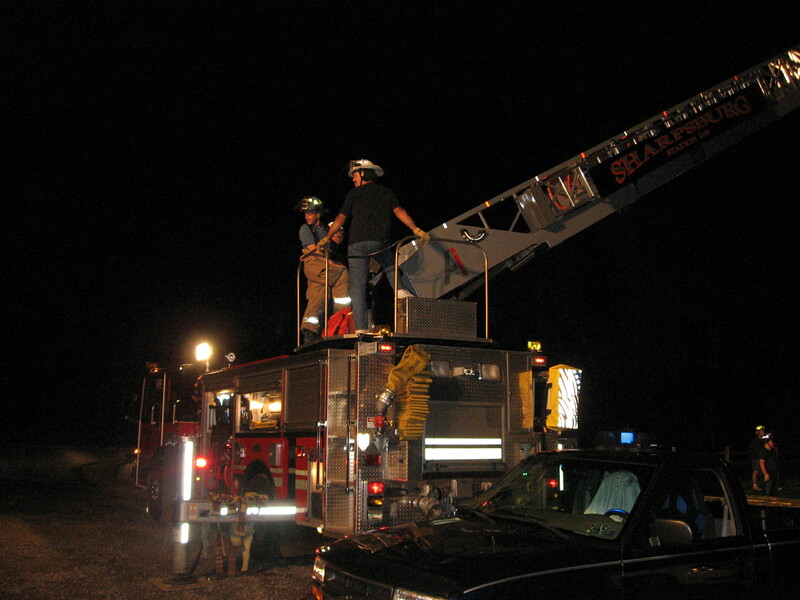 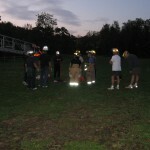 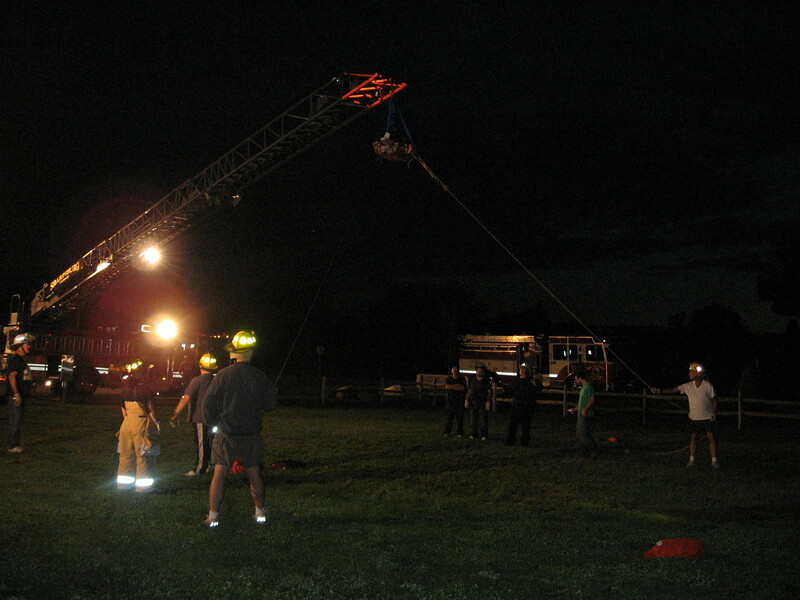 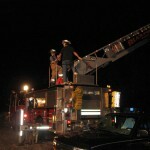 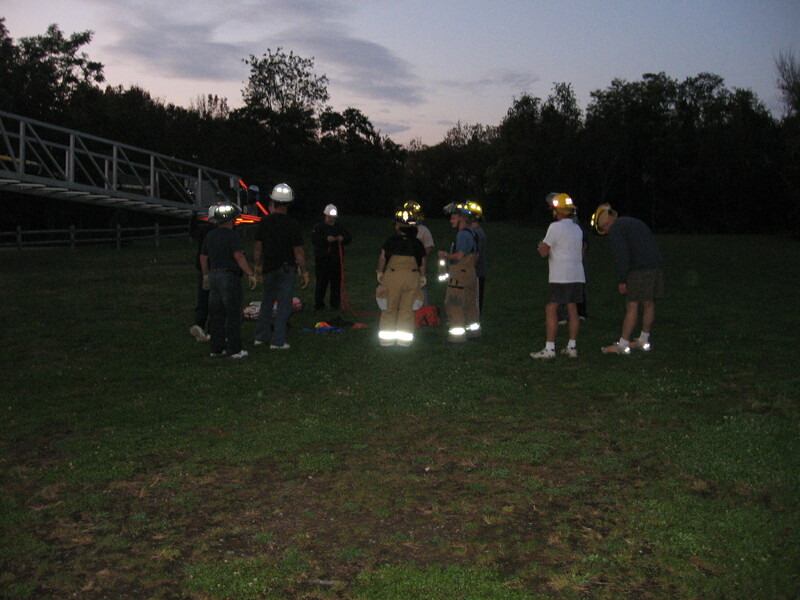 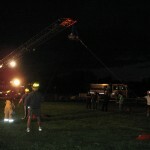 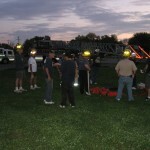 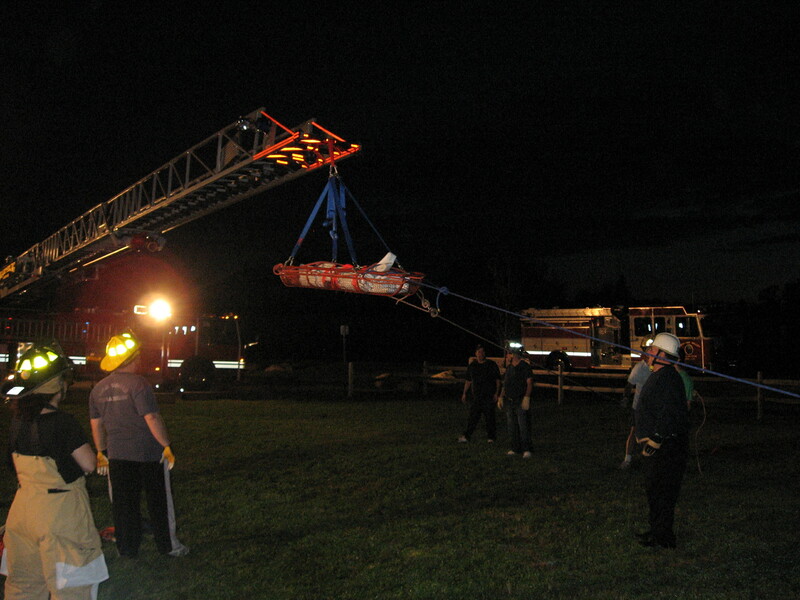 This was the first “official”fire department training held at the George J Sacco Park. 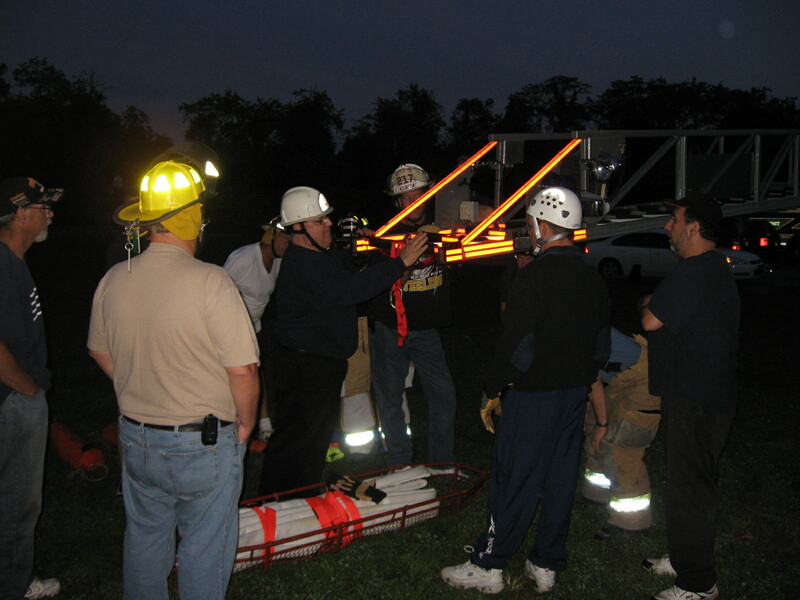 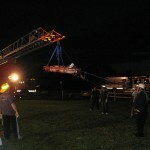 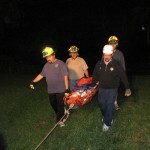 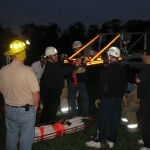 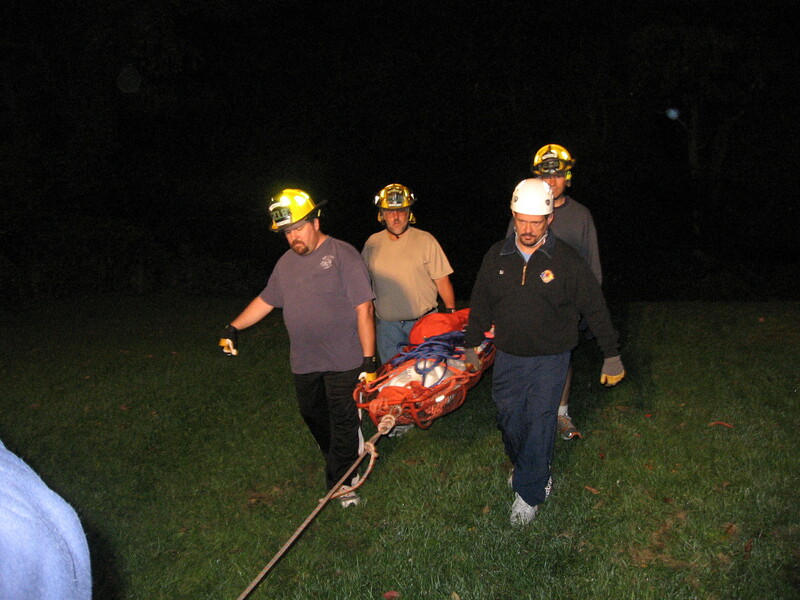 Norm Auvil had the crews working on low angle rope rescue techniques and aerial apparatus integration with rope rescue.